2 tabelspoons melted butter ~ NOT margine! chicken breasts cut into 1 1/2 – 2 inch pieces. pepper in shallow bowl * add 2 thinly sliced garlic cloves and chives into batter mixture. 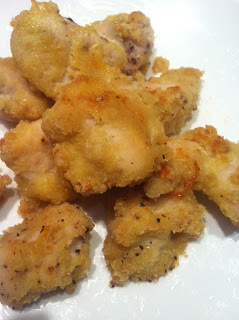 This entry was posted in Food and tagged almond, chicken, delicious, healthy, organic on January 2, 2013 by Nikki Babie.